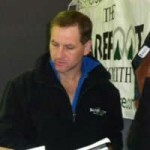 A Director of the Australian College of Equine Podiotherapy, Master Farrier and Equine Podiotherapist - "The Barefoot Blacksmith". 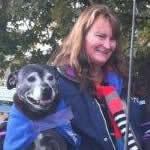 Penelope - Pos, Graduated from Melbourne University in 2001 with a Bachelor of Science and Bachelor of Veterinary Science with Honours. 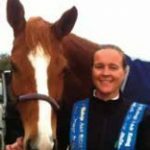 She has worked in the equine performance and pleasure horse industry for 12 years with a large proportion of her time spent on the racetrack and more recently in Mansfield, Victoria. 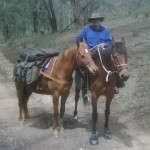 Allan has always had a fascination for all things natural - and horsemanship has really been an extension of that. 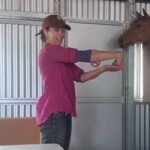 Equine Myofunctional Therapist, Remedial Myofascial Therapist. 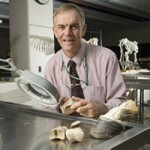 B.App.Sc. 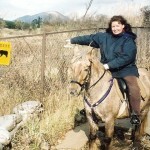 (Equine), M.App.Sc. 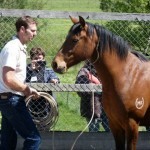 (4 Equine Theses), ACHM, EBW, EMR, Master of Agriculture & Rural Development with distinction, Equine Genetics. 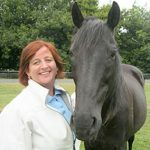 "The Bone Lady" Sharon is one of Australia's leading experts in the biomechanics & musculo-skeletal system of the equine.